Have you ever wondered how the super-rich built their wealth¡ªand whether you could build big wealth too? Ken Fisher¡¯s New York Times bestseller The Ten Roads to Riches takes an engaging and informative look at some of America¡¯s most famous (and infamous) modern day millionaires (and billionaires), and reveals how they found their fortunes. Surprisingly, the super-wealthy usually get there by taking just one of ten possible roads. And now, so can you! Even if achieving super wealth isn¡¯t your goal, you can still learn how to build more modest wealth following the same successful paths others have used. In The Ten Roads to Riches, renowned investment expert and self-made billionaire Ken Fisher highlights amusing anecdotes of individuals who have traveled (or tumbled) down each road, and shares advice on increasing your chances of success. Whether it¡¯s starting a business, owning real estate, investing wisely or even marrying very, very well, Fisher will show how some got it right and others got it horribly wrong. Whether you¡¯re just beginning to plan your financial future or well on your way, The Ten Roads to Riches can show you how to gain, and more importantly, maintain the wealth you want. 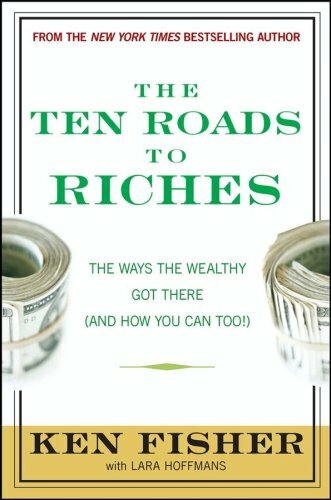 The Ten Roads to Riches takes an engaging and informative look at some of America¡¯s most famous (and infamous) modern day millionaires (and billionaires), and reveals how they found their fortunes. Surprisingly, the super-wealthy usually get there by taking just one of ten possible roads. And now, so can you. Even if achieving super-wealth isn¡¯t your goal, you can still learn how to build more modest wealth following the same successful paths others have used. In The Ten Roads to Riches, renowned investment expert and self-made billionaire Ken Fisher highlights amusing anecdotes of individuals who have traveled (or tumbled) down each road, and shares advice on increasing your chances of success. Whether it¡¯s starting a business, owning real estate, investing wisely or even marrying very, very well, Fisher will show how some got it right and others got it horribly wrong. 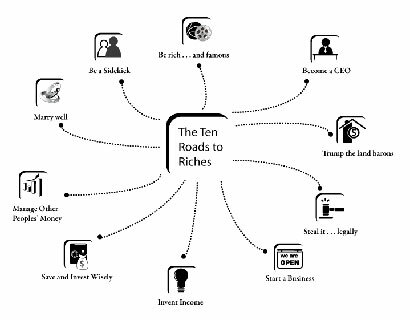 Whether you¡¯re just beginning to plan your financial future or well on your way, The Ten Roads to Riches can show you how to gain, and more importantly, maintain the wealth you want. Ken Fisher is best known for his prestigious "Portfolio Strategy" column in Forbes magazine, where his 24-year tenure of high-profile calls makes him the fourth longest-running columnist in Forbes¡¯ 90-year history. Ken is the founder, Chairman, and CEO of Fisher Investments, and has appeared in most major American finance or business periodicals. He is also the author of the bestselling investment book, The Only Three Questions That Count, which is published by Wiley. Most of us have dreams of getting rich. Right now, times are hard and most of us are feeling more insecure than we have in a long time. Yet, it is in these downturns that the foundations of wealth are best set down. Ken Fisher with Lara Hoffmans have give us a book that lays out the ten paths that can lead to the riches you think you want. You don't have to take all ten. In fact, some of the ten may revolt you and others will be of no interest. However, if you find one or a few that you can work on, you just might find you way to that pot `o gold. What are the ten roads the authors show us? 1)	Founding and leading your own visionary company. 2)	Becoming a top CEO at someone else's successful company. 3)	Investing in a successful company. 4)	Becoming a highly paid celebrity, athlete, artist, or other famous person. 5)	Marrying a very rich person. 6)	Learn to prey on other's vulnerability by looking for steals. 7)	Use your ideas (or marry other's ideas) and OPM (other people's money). 8)	Create multiple incomes and maybe pensions. 10)	Saving and investing prudently while living modestly. I really appreciate the way the Fisher compares the fantasies of each of these paths with the realities you will face if you decide to travel them. While none of the articles will give you more than an introduction of what you will have to know, do, and accomplish to succeed, you will have more honest information than you are likely to have now. This is an interesting read even in these uncertain times. Fisher's book is entertaining and will likely never leave you bored. His tone is at times facetious but he offers a "macro" view of major pathways for those who want to achieve financial independence and security. This is a fun, breezy read, as investment advisor and long-time Forbes columnist Ken Fisher has written a serious, but humorous book about how to build wealth. And at 216 pages a quick read. Fisher's last book, "The Only Three Questions that Count", was superb. This latest book is very different from "The Only Three Questions...", which is all about personal investing but which also has application to other areas of a person's life. "The Ten Roads to Riches" is about the varied ways a person can build personal wealth. Fisher draws from his own experience of meeting many successful people, as he charts the paths. The chapters are insightful and written in a tongue-in-cheek style with ideas that can be easily visualized. Chapter four is "Rich ... and Famous". Some tips: compose songs, don't sing them, and star high school baseball players have slightly better odds of making the big leagues then star football players. Chapter five is "Marry Well, Really Well", which is very amusing, but also serious. Hey, if you want to get married, hang around with rich people and fall in love with one of them! Plenty of examples including John Kerry (twice) and John McCain. Chapter six is "Steal It - Like a Pirate, But Legally", making a career as a plaintiff's lawyer and suing companies. Enough said.... And chapter nine is "Trumping the Land Barons" - all about real estate. The last chapter is "The Road Most Travelled", about doing it the old-fashioned way - get a good job, work hard, save and invest wisely. Each chapter is a survey, giving multiple examples of people who took the particular road, and offering ideas, but no detailed plan. At the end of each are brief reviews of suggested additional readings for anyone who might be inclined to follow that particular path. I was surprised that there are actually serious books about how to "Marry Well", but maybe I shouldn't have been? An enjoyable, quick read about one aspect of the business of life. 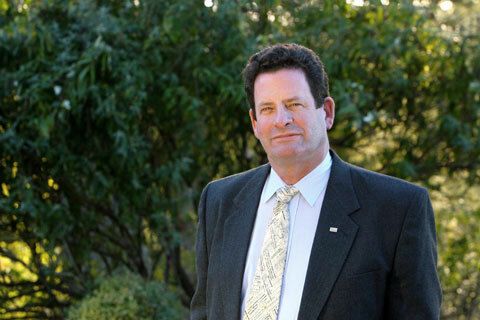 Ken Fisher is the son of the legendary money managwer Phil Fisher. He is a self-made billionaire and is ranked no 271 on the 2007 Forbes 400 list of the richest Americans. In find this book credible and a real pleasure to read and is extremely enlightening.It provides a front row seat to learn from a veteran nmoney manager (Mr Fisher is the fourth longest-running columnist in Forbes's ninety-year history). Mr Fisher even includes controversial but legal ways to make money. I highly recommend this book.